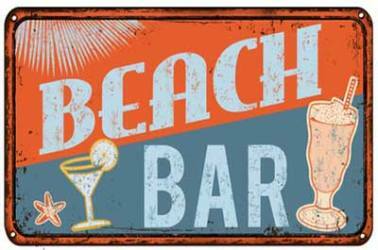 Asbury Park, once a world class beach resort, is back with renewed energy and has now become a must visit destination for Jersey Shore fans. Once the regarded as the "Queen of the Jersey Shore", or the "City by the Sea" during its heyday in the early half of the 20th century. 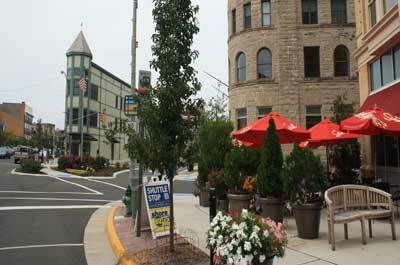 Today, Asbury Park exemplifies the cultural and ethnic diversity, creative energy, and natural beauty that make this Jersey Shore town a popular destination for a day trip, an evening of fun, a weekend getaway, or for an extended vacation. 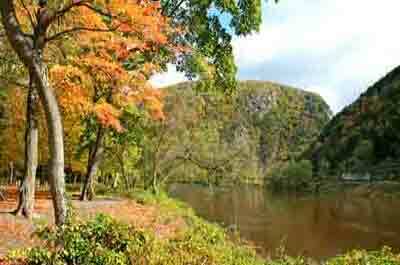 This is a city that has gotten the attention of Bruce Springsteen followers, indie music, concert goers, restaurant enthusiasts, beach goers, local and national artists, developers, and of course visitors. The center of activity is downtown along Cookman Avenue with many excellent restaurants, shops and art galleries, and along the boardwalk lined with restaurants and the Paramount Theater - Convention Hall. 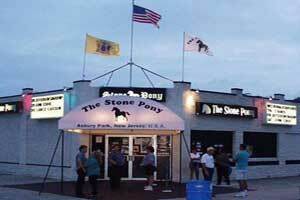 Asbury Park is also regarded as the birthplace of Jersey shore music with performers like Bruce Springsteen, Southside Johnny & the Asbury Jukes and many more making their appearances at the famed Stone Pony. 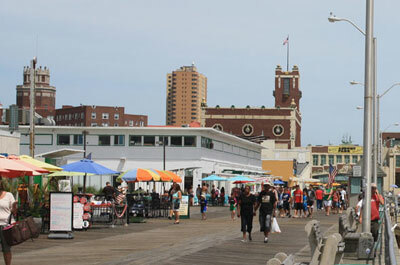 By the time Bruce Springsteen became an international rock n' roll star in the late 1970's, Asbury Park was considered a rock mecca along with Memphis, Detroit, and Liverpool. 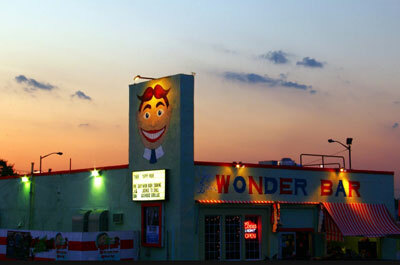 Home to the one-time Palace Amusement Center and Tillie the Clown, the city's pop-culture icon that will soon resurface and the city's ambitious redevelopment effort comes to completion. 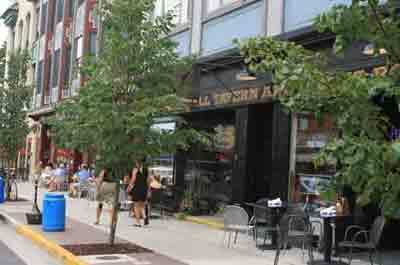 With it's resurgence and diversity, Asbury Park has gained the reputation of being the Jersey Shore's "hottest dining destination" with over 65 restaurants --- many of them being hip restaurants specializing in innovative cooking with chefs with formal culinary training who honed their skills at notable NYC kitchens. 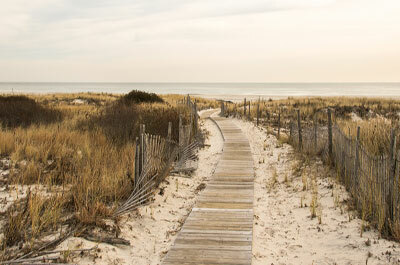 A great place for warmer weather strolls, people watching, visiting shops, and for eating outdoors overlooking the ocean. 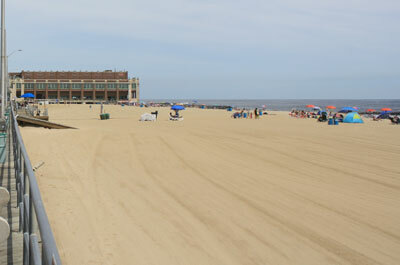 Convention Hall, along with the adjacent Paramount Theatre and the Grand Arcade connecting the two, is one of the most majestic landmarks on the Jersey Shore. 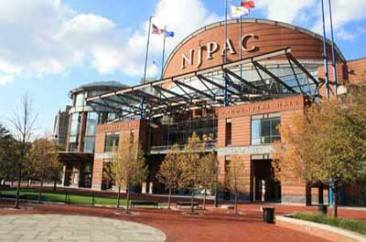 Over the years, this historic entertainment venue has hosted legendary performances by Rolling Stones, the Dave Clark Five, Jefferson Airplane, The Who, the Doors, and of course Bruce Springsteen, who still performs there and sometimes shows up at performances unannounced. The Convention Hall extends over the beach and boasts a state-of-the-art stage area, spacious arena floor and a capacity of up to 3,600 guests. 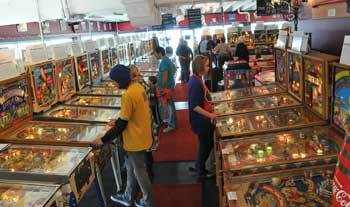 Across from The Stone Pony, they have over 200 pinball machines from the 1930's to the 1980's on display and playable. 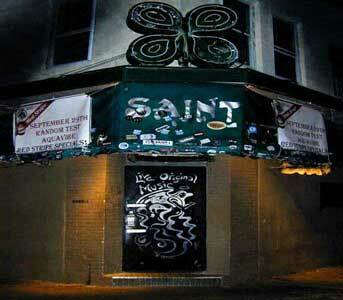 A small live music venue. 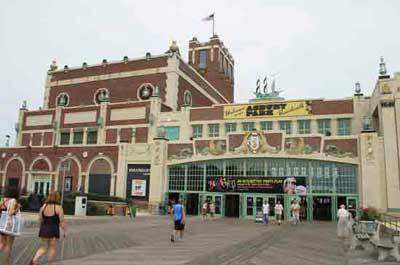 New Jersey and National acts have performed here including: Creed, Jewel, Joey Ramone, Cake, Incubus, Deftones, Everlast, Moe, Kenny Wayne Shepherd, Cannibal Corpse, Hoobastank, String Cheese Incident, Matthew Good Band, Cowboy Mouth, and the Stereophonics. Has a musical history similar to the Stone Pony, with many local legends perform there including Bruce Springsteen, Bon Jovi, Clarence Clemmons, Lance Larson and many others. 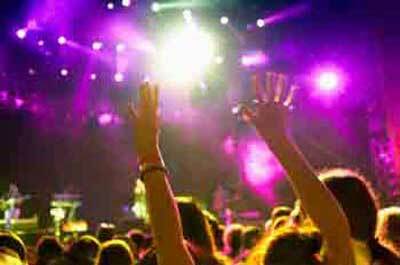 Known for great live music, tasty food and the world famous Yappy Hour where dogs run the show. 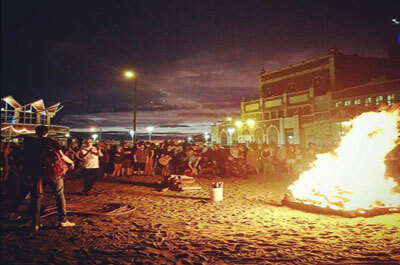 Bonfires are on Fridays at 7 PM in May and June, Wednesdays at 8 PM in July and August and Fridays at 7 PM in September.